Arriva Danmark has extended the requirements of its contract with Damen Shipyards Group in order to account for longer ferry routes in the city of Copenhagen. 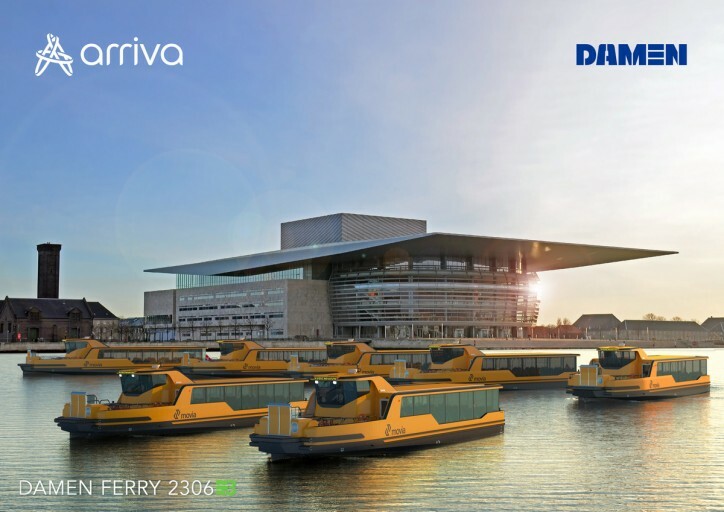 Arriva originally contracted Damen to deliver five fully-electric Damen Ferry 2306 E3 vessels to cover passenger routes in the central metropolitan area of Copenhagen. Since agreement of the contract in July 2018, Danish public transport agency Movia has extended the intended routes of its ferry service to the port area by roughly 50%. The Movia H5 tender was issued in March 2018 with the purpose of upgrading the current ferry service in the city of Copenhagen to a more environmentally-friendly solution. Arriva Danmark was chosen as the transportation operator for the service, and subsequently selected Damen as its vessel supplier. To provide a fully-integrated system, Damen representatives spent ample time analysing the conditions in which the ferries would operate, and the demands placed on them in their operation. The vessels needed to fit in with the existing service currently in place, without requiring adaptation on the side of the service operator. Damen conducted extensive studies into numerous contributing variables including requirements for the vessels’ environmental performance, cost-efficiency, continuity with the existing transport framework, optimal passenger experience and reliability. The ferries are designed to match Damen’s E-Cross label. The E-Cross range of electrically-powered ferries is designed with the philosophy of being environmentally friendly, efficient in operation and economically viable. The E-Cross ferries are zero-emissions vessels boasting excellent manoeuvrability, low maintenance and modular deck arrangements. Their adaptability allows Damen to provide a fully-integrated shore and ship solution for Copenhagen’s ferry service. The route extension incorporates an additional four stops to make a total of thirteen stops, including a terminal in Copenhagen’s port area. This significantly impacts the scope of the project, as new power requirements must be considered in the integrated solution. Damen needed to confirm the feasibility of additional charging points on the route along with the capacity and accessibility of the local power grid. A reasonable level of redundancy was also accounted for, as the ferries must be able to operate in poor weather conditions and must remain operational if one charging system fails. Damen’s solution to this challenge was to develop an auto-mooring system for the vessels. 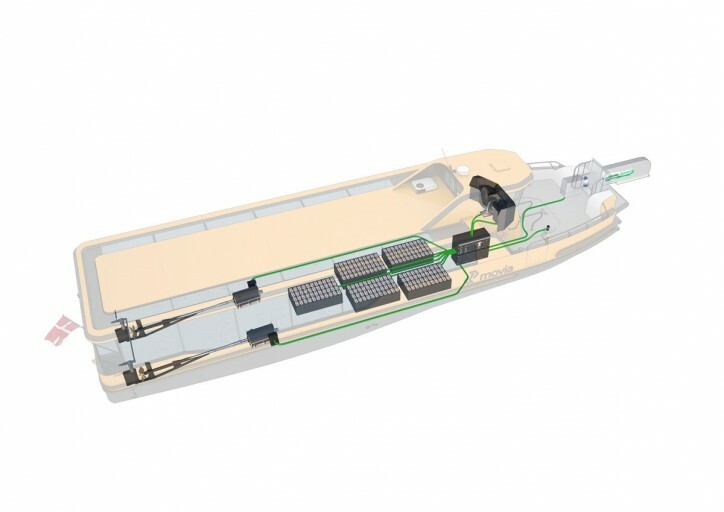 Developed in-house, the auto-mooring solution largely increases the safety around the integral system while simultaneously saving more than 10% of a vessel’s energy usage per day. The first five vessels in this project will be delivered according to contract, with the two additional vessels delivered in May 2020.